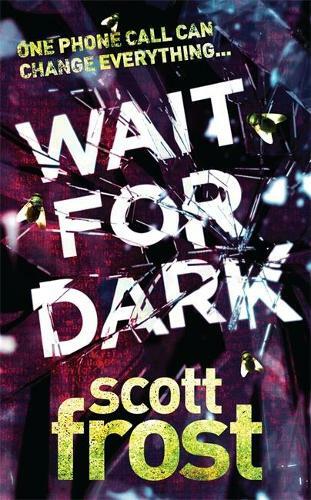 Scott Frost is back with another explosive crime novel featuring Alex Delillo. As the heat rises, LA begins to experience a series of power blackouts. As the situation worsens, LAPD is put on tactical alert in preparation for nightfall. With every available cop on the streets, Lt. Alex Delillo and her partner, Harrison, are holding the fort at headquarters, waiting for the first homicide call. But when that call comes in, the voice on the other end isn't a victim pleading for help. It's a voice talking in riddles, pointing to a murder that is about to be committed once night falls. Delillo and Harrison pinpoint the call to an office in a brokerage firm in the building across the street. But as they arrive, only a ringing phone awaits them. It's the caller again, warning them that it's almost dark, and they don't have much time to stop what is about to happen to the office's occupant. Now the killer has Delillo's attention and his plan is in motion. Dark is coming and it doesn't wait for anyone. Can Delillo find the killer before it's too late?